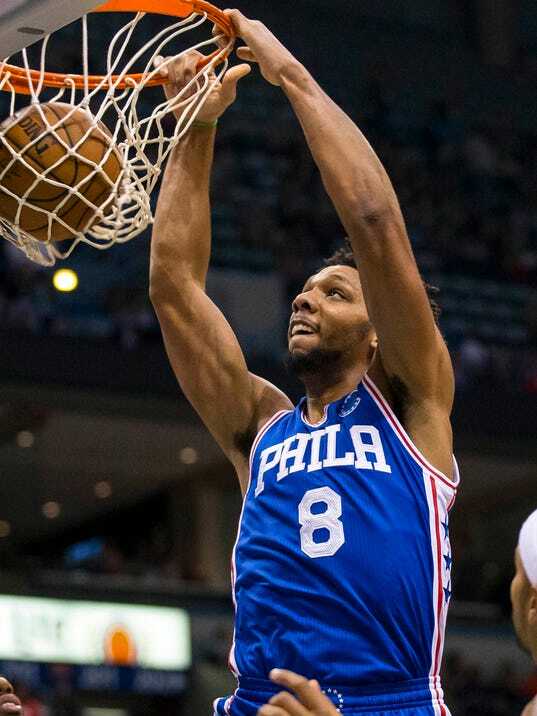 Detroit Pistons rookie forward Stanley Johnson has known Philadelphia 76ers rookie Jahlil Okafor since childhood. They became friends through the AAU circuit and have remained close since. Johnson knows Okafor as a kind, good-hearted person. Knows him as the guy who flew to California after Johnson’s mother died in the summer. Okafor knew the heartache and sorrow. He lost his mom when he was 9 and wanted to be there for his friend. However, Johnson doesn’t recognize the Okafor who is in the news for the wrong reasons right now – a videotaped altercation with fans in Boston, a citation for going 108 mph in a 40 mph zone and most recently on Wednesday, TMZ.com posted another video of an agitated Okafor fighting on a Boston street. The second Boston video is unflattering with Okafor bragging about money, charging people and throwing punches. Boston police spokesperson Myeshia Henderson told USA TODAY Sports the second alleged victim hasn’t come forward.